Alabama is the clear leader of the SEC entering spring workouts. Which program is best positioned to compete with the Crimson Tide this fall? Going into 2017, it’s hard to imagine Alabama won’t play in its fourth consecutive SEC Championship Game. Other conference trends should persist as well: The East Division will be weaker than the West Division, defense will be king, and we’ll all pump up Tennessee for the entire month of August. What’s most interesting, though, is the relative uncertainty in the middle tier of the conference. The gap between No. 5 (Auburn) and No. 10 (South Carolina) in these Power Rankings seems relatively narrow. That could lead to some unpredictable movement in the standings come December. At the top, though, Alabama remains the king of the West, and the East will likely go through Gainesville or Athens. After losing to Clemson in the national title game, Alabama remains atop the SEC. Sure, replacing first-round NFL talents Jonathan Allen and Reuben Foster won’t be easy, but the Crimson Tide should be just fine on defense, and their offense looks poised to take a step forward with Jalen Hurts back for another year as the starting quarterback. Under new (or newish) coach Ed Orgeron, LSU’s offense must improve, and even without Leonard Fournette, it should. On defense, coordinator Dave Aranda should have plenty of fresh talent to fill the voids left by graduations and departures, most notably Jamal Adams and Davon Godchaux. Expect a breakout season from quarterback Jacob Eason, who started as a true freshman last year, and from the Bulldogs’ defense across the board, which was inexperienced in 2016. Nick Chubb and Sony Michel may be the best running back duo in the country, and they’ll take the heat off Eason as he continues to develop. The Gators’ offense may be as uninspiring as it has been in recent seasons, and new defensive coordinator Randy Shannon has a slew of starters to replace. Still, with an offensive line and running back corps that showed promise a year ago and plenty of young talent in the pipeline, Florida should be just fine. Transfer quarterback Jarrett Stidham (you last saw him at Baylor in 2015) will give the Tigers an immediate boost on a promising offense. That should pick up some of the slack for a defense that looks as if it may take a step back. The Vols will have to see improvement from their offensive line and defense in 2017, especially after losing Joshua Dobbs, Alvin Kamara and Derek Barnett. But with two talented quarterbacks vying for the starting role (Jarrett Guarantano, Quinten Dormady), the step back this season from 2016’s nine-win campaign shouldn’t be too big. Arkansas needs to be more consistent in 2017. It should boast the same offensive strength it displayed last year under quarterback Austin Allen, but new defensive coordinator Paul Rhoads will have to get his unit in order for the Razorbacks to make a splash this year. Kentucky has been on the upswing in recent years, but if it can’t improve a defense that’s been consistently at the bottom of the conference, it’ll be hard-pressed to top last season’s seven wins. Losing presumptive No. 1 pick Myles Garrett and quarterback Trevor Knight will set the Aggies back on both sides of the ball. And in a season when Kevin Sumlin needs to take a step forward, it’s hard imagining his team topping the 8–5 mark it’s reached in each of the past three seasons. Will Muschamp’s bowl berth in year one took many by surprise, and as his young roster matures, there’s reason to believe he’ll have a winning season in Columbia. One group to worry about: the offensive line, which was the SEC’s worst last year. The Rebels brought in a new coordinator, Wesley McGriff, to turn around the conference’s worst defense (they also added OC Phil Longo), but that transition will take time. Hiring defensive coordinator Todd Grantham away from Louisville was a coup, but the Bulldogs have too many questions on both sides of the ball to inspire much confidence. Vanderbilt is on the upswing, but it’ll need more consistent play from quarterback Kyle Shurmur to reach its second straight bowl game. A foray into the SEC West against Alabama (in Nashville, at least) won’t help that cause. It’s hard to see the Tigers emerging from the basement of the SEC despite winning two of their final three games last season. Missouri’s defense was the worst it’s been in years, and personnel losses make it tough to imagine the Tigers will improve upon the 31.5 points per game they allowed. What aren't LSU fans more concerned about losing Leonard Fournette? Because Guice is back after rushing for 1,387 yards and 15 touchdowns. Not a bad replacement plan. He fell short of delivering a national title, but Hurts still showed plenty of promise as a true freshman, passing for 2,780 yards, rushing for 954 yards and scoring 36 total touchdowns. The top center in the country last season, according to Pro Football Focus, Ragnow passed on the NFL draft for another season anchoring the Razorbacks' line. Chubb also passed on the NFL draft, and while his yards per carry dipped in 2016, he can still go up against any running back in the country when he's healthy. Kirk causes nightmares for opponents with the many ways he can beat them—catching passes, taking handoffs or returning punts and kicks. Pettway opted for another season on the Plains after rushing for 1,224 yards with seven touchdowns last season. Stepping into the big shoes of Dak Prescott, Fitzgerald came through and proved to be arguably the SEC's top dual-threat quarterback. He passed for 2,423 yards and rushed for 1,375 more while scoring 37 total touchdowns. Jones shines as a sophomore, leading the Wildcats with 109 tackles and 15.5 tackles for loss. The new guy in the conference, Stidham should step into a starting role right away after transferring from Baylor. Fitzpatrick returns as the clear top piece on the Crimson Tide's defense after intercepting six passes and making five tackles for loss in 2016.
Who will be the Gators’ quarterback? Luke Del Rio, who started six games in 2016, will miss the spring with the shoulder injury that sidelined him for the last four games of 2016. With the vacancy, Feleipe Franks, Kyle Trask and Kadarius Toney will battle for the top spot on the depth chart. Franks and Trask redshirted last season, and Toney is a true freshman, so the group is green across the board. That said, it’s entirely possible that one of them (more likely Franks or Trask) could win the job outright. Del Rio enrolled in a graduate program at Florida for next year, so the likelihood that he’d transfer is slim. If none of the three alternatives are ready in time for the Gators’ opener against Michigan, he’d be a more-than-adequate fallback. 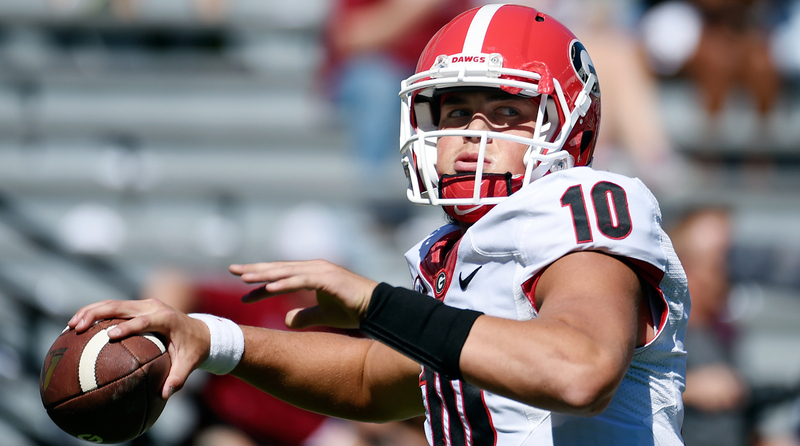 Can Jacob Eason be one of the best quarterbacks in the conference in his second season? Eason’s true freshman year was by no means perfect, but he showed flashes of greatness and affirmed coach Kirby Smart’s decision to give him the nod. At times, Eason relied too much on his arm strength to bail him out, but that lack of finesse is understandable for a true freshman. With a season under his belt working with Smart and coordinator Jim Chaney, Eason should be more sophisticated when it comes to executing different throws and breaking down defenses. Plus, a year ago Georgia’s running game was hardly explosive. Nick Chubb is set to return healthy in 2017, and paired with Sony Michel, the two should take a fair amount of pressure off Eason, giving the Bulldogs one of the more dynamic offenses in the SEC. Who’s in charge of Kentucky’s defense? After his defense struggled mightily a year ago, Kentucky coach Mark Stoops retooled his defensive staff going into 2017. He promoted a new coordinator, Matt House, and added Derrick LeBlanc as his defensive line coach and Dean Hood to coach outside linebackers. Last year, Stoops took over play-calling midseason after Kentucky opened the campaign giving up 500-plus yards in each of its first three games (against Southern Miss, Florida and New Mexico State). He’ll hand those duties over to House, who should use a more aggressive playbook for a team that allowed its opponents an average of 436.8 yards on 71.3 plays per game. Can Missouri turn an insane pace of offensive play into actual production? For a team that made its name with defense during its early SEC seasons, things are upside-down at Missouri these days. In 2016, under first-year head coach (and former defensive coordinator) Barry Odom, the Tigers' defense slipped from allowing opponents an average of 302 yards per game to 480.1 per game, but its offense under quarterback Drew Lock was exciting. The most interesting element of that offense was inherently frustrating: It played at a downright bananas pace, faster than just about any SEC team this decade. That translated to 31.4 points per game, good for No. 48 among FBS schools and No. 5 in the SEC. That’s right: The fastest-paced offense in years was outscored by four teams in its own conference. In his second season as Missouri’s full-time starter, Lock will have an experienced offense; the Tigers return almost all of their key players on that side of the ball. Can the Gamecocks beef up their offensive line enough to be a pleasant surprise again in 2017? The middle tier of SEC teams next season looks huge and flexible, and South Carolina could be a candidate to make a jump. Few expected Muschamp to have such a big impact right away, and freshman quarterback Jake Bentley was an unexpected bright spot. His stats—1,420 yards and a 65.8 completion percentage over seven games—are even more impressive considering he played with an offensive line that allowed the most sacks in the SEC (41). That devastated the Gamecocks’ running game, putting more pressure on the rookie signal-caller. The offensive line will feature four returning starters and a new position coach (Eric Wolford), so experience and leadership should count for something. And Zack Bailey, South Carolina’s most talented player along the O-line, will move from left guard to right tackle, boosting Bentley’s protection. Can the Volunteers get better within the SEC play? Coming off its second straight 9–4 season, Tennessee has little reason to be ashamed. It had a strong showing at the NFL combine and could see two players picked in the first round. The Vols earned bowl berths in each of their last three seasons. But to be a legitimate national contender, they have to play better within the SEC, where they went 4–4 a year ago despite playing in the weaker East Division. In fact, Tennessee has had just one winning SEC record since 2007, and as it retools at quarterback, running back and along the defensive line, it’ll be hard-pressed to improve that mark in 2017. That in-conference performance seems to have affected recruiting, too. The Vols signed just five total 4- and 5-star recruits in 2017. If Jones doesn’t start winning marquee games, he’s going to have an even harder time wooing recruits away from bigger names within the conference. Who will replace Zach Cunningham? It’s not every year that Vanderbilt sees a player picked in the first round of the NFL draft. In fact, it hasn’t happened since Chris Williams went to the Bears with the 14th pick in 2008. There’s a good chance, though, that linebacker Cunningham will be one of the first 32 players off the board this year, which is a boon for the Commodores but also underscores how big of a hole they have to fill. The best candidate to pick up the slack is Oren Burks, who moved to inside linebacker last year to play next to Cunningham. He could slide back over into the hybrid position Cunningham played, but even that doesn’t account for the loss. The linebacking corps saw several starters graduate, and it’ll go from relying on upperclassmen to hoping to squeeze production from underclassmen. Who is Brian Daboll, and what can he bring to the Crimson Tide’s offense? Alabama’s last two coordinators were both household names in college football, but Daboll is decidedly not. 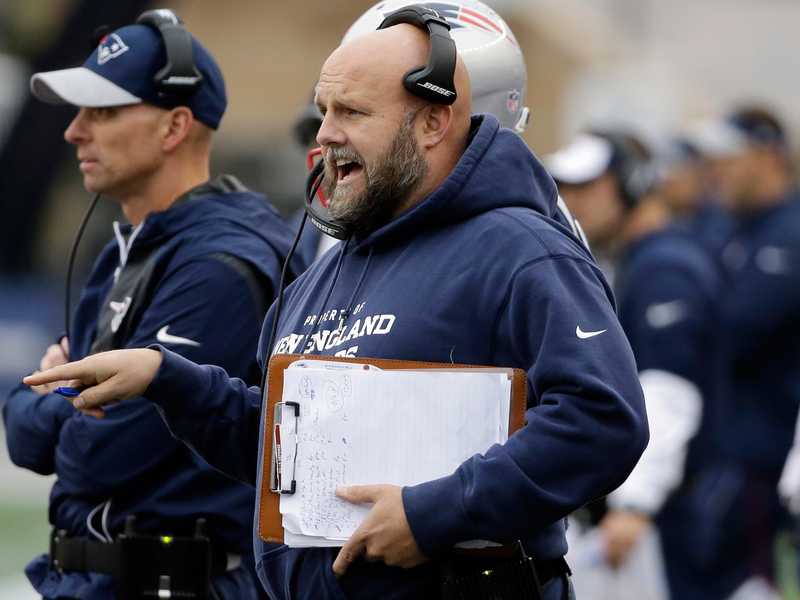 He spent the past three seasons as the Patriots’ tight ends coach, winning two Super Bowls, and he’s worked as an assistant in the NFL since 2000. The Saban connection: Daboll was a graduate assistant at Michigan State from 1998–99. It’s hard to say exactly what the on-field implications of Daboll's hire as offensive coordinator will be, but coming from the Bill Belichick-Saban coaching tree certainly can’t hurt. The biggest knock on Lane Kiffin during his time at Alabama was his inability to get on the same page as his head coach; that shouldn’t be the case with Daboll. However, Daboll, unlike Kiffin and Steve Sarkisian, isn’t a former quarterback, and he’ll be tasked with overseeing the development of Jalen Hurts in his sophomore season. That said, Daboll worked with Brett Favre in New York as the Jets’ quarterbacks coach and was in the proximity of Tom Brady in New England. What will the Razorbacks’ revamped defense look like? Last season, Arkansas allowed opponents 31.1 points per game, and this off-season, coordinator Robb Smith left for Minnesota. Under his replacement, Paul Rhoads, who was promoted after a season as the Razorbacks’ defensive backs coach, the unit will likely go to more of a 3–4 look, which should provide additional support against the run to the team with the third-worst rushing defense in the conference. Last season, coach Bret Bielema hinted at scheme changes but never enacted them. It didn’t take him long this off-season, though, to bring up the idea of shifting toward a 3–4 base. He admitted in December that he and his coaches have been recruiting with that in mind, looking for outside linebackers to play in the alignment and provide both run support and pass coverage. How will Jarrett Stidham change the Tigers’ offense? The Tigers’ 2016 starting quarterback, Sean White, is recovering from injuries, so Stidham, the transfer from Baylor, will get first-team reps in spring ball. Stidham is the favorite to become QB1, and the former five-star recruit has the pedigree to take the Tigers’ offense to the next level. In 2015, when he backed up Seth Russell and started for 2.5 games, Stidham finished with a 68.8 completion percentage, 1,265 passing yards, 12 touchdowns and two interceptions. Still, it’s been nearly two years since he’s played college football, so he remains something of a mystery. One thing that’s impossible to question, though, is Stidham's arm strength. At Baylor, he also looked comfortable in the pocket, with the ability to run if necessary, which White lacks. Stidham's time in Waco wasn’t without mistakes, but as a true freshman, that’s to be expected. Will he be rusty? Most likely. But he should give Auburn its best chance at a dynamic offense. What does LSU’s running backs depth look like? Leonard Fournette played in just seven games last year, leaving his backup, Derrius Guice, to anchor the Tigers’ ground game. Guice ran for 1,387 yards, averaging 7.6 yards per carry, and scored 15 rushing touchdowns. He looks poised to be one of the best backs in the SEC, if not a Heisman Trophy candidate, but it’ll be important for LSU to field another power back. Darrell Williams, a senior, has rushed for just 831 yards in three years in Baton Rouge, but this could be his season to shine as he moves into the No. 2 spot on the depth chart. Junior Nick Brossette should also get reps this spring and could be in line to contribute come fall. Can Todd Grantham bring some stability to the Bulldogs’ defense? Last season, Mississippi State allowed 31.8 points per game, second-worst in the SEC. In his introductory press conference, Grantham mentioned few names at specific positions and said most spots are up for grabs. He’ll likely coach a 3–4 scheme with blitzing linebackers, and look for Leo Lewis, J.T. Gray and Gerri Green to get more reps at that position after the Bulldogs lost leading tackler Richie Brown. Can the Rebels rise on the field above the swirling NCAA cloud off of it? Ole Miss had its worst season of Hugh Freeze’s tenure last year, going 5–7, and with NCAA sanctions pending, the Rebels already announced a self-imposed one-year bowl ban. That means this team isn’t playing for much but dignity in 2017, and that might be the case for several seasons going forward. Freeze, despite being beloved among most Ole Miss fans, may also find his job on the line. We’ll know soon. In the meantime, the Rebels have to replace two-year starting quarterback Chad Kelly. That task is made slightly less ominous by Shea Patterson’s play at the end of last season, when he started after Kelly tore his ACL. Patterson finished the year throwing for 880 yards in three games, going 1–2 with six touchdowns and three interceptions. He showed flashes of promise, with a blend of arm strength and mobility, and (perhaps most importantly) reaffirmed his commitment to the school after the latest round of NCAA allegations. Can Kevin Sumlin survive what looks like a rebuilding season? It’s been five years since Sumlin took over in College Station and four since Johnny Manziel last took the field. The Aggies’ Cotton Bowl win over Oklahoma seems like an eon ago, and after three consecutive 8–5 finishes, Sumlin will be hard-pressed to stay in the school’s good graces if things don’t improve soon. Losing Garrett will be a blow to a defense that was already shaky a season ago, and the Aggies have to find some continuity at quarterback. Doing that with an almost brand new stable of receivers will be tough, and with Florida and UCLA on the schedule, it’s easy to imagine this team finishing with only six or seven wins. Now that it’s 2017, Sumlin’s $20 million buyout is gone, making it easier for the Aggies to part with him if he doesn’t deliver to their standards. Whether that moment is now, with perhaps the least talented roster of his tenure, remains to be seen, but his is a name to watch.